Packing a suitcase prior to going on vacation can sometimes be a bothersome affair, especially if you’re the type who likes to take everything and the kitchen sink. When things go really badly, closing the bulging suitcase can involve calling in friends and family, culminating with bodies strewn strategically across certain parts of the case to enable the zipper to be zipped and the locks to be locked. Luxury goods maker Louis Vuitton appears to have cottoned on to this annoyance and launched an interactive web app offering tips and advice on how to best pack your suitcase. 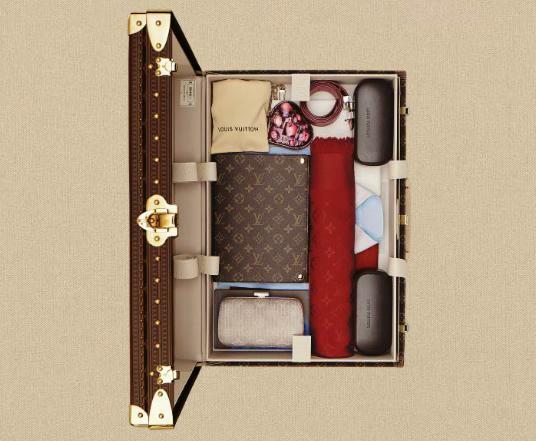 The online Flash-based app, called The Art of Packing, begins with an empty Louis Vuitton case positioned in the middle of the screen, surrounded by various items of clothing and a number of accessories – several of which are Louis Vuitton-branded, naturally. You’re then presented with various suggestions on how to pack your case in an orderly and sensible manner, thereby avoiding the need to call for help. “For efficient packing, the first trick is to lay out everything needed for the trip in order to ensure that nothing gets forgotten,” reads Tip 1. Click on the items to pack them in the case, while reading the tips that appear alongside. “The trick to efficient packing is to place the heavy objects at the bottom of the suitcase,” Louis Vuitton kindly suggests. For optimum space efficiency, shoes should be filled with accessories such as belts and socks before placing them inside felt bags and into the case, it says. A few clicks later and you’re presented with a perfectly packed case that’s easy to close. If only it really was that simple. The Art of Packing web app is actually a pretty comprehensive creation, and certainly very slick – kind of what you’d expect from an outfit like Louis Vuitton – with advice on how to pack three different types of case, and animations on how to fold particular items of clothing. The kitchen sink, however, is not mentioned anywhere.